Telemarketing is the lifeline of most companies’ sales processes, the entire process of lead generation through telemarketing is like mining for gold. Companies spend a lot of their resources in implementing lead generation programs with a limited sales team. 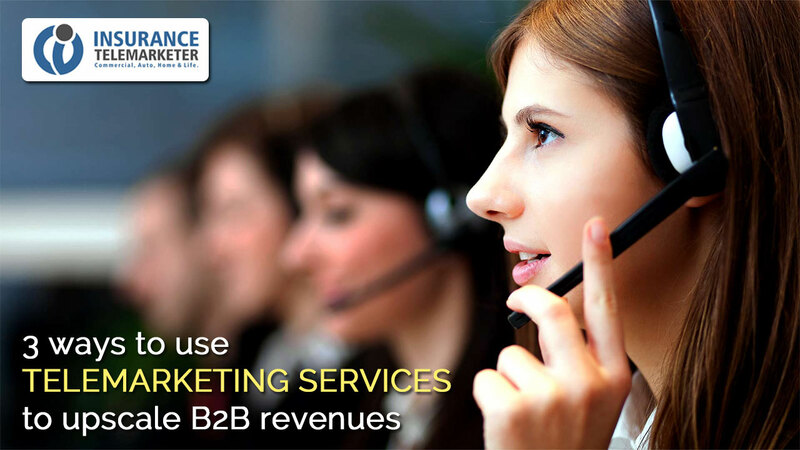 That’s where hiring an effective telemarketing call center can help in lead generation to ramp up B2B revenues of the companies. Communication methods have gone through a sifting with the advent of social media, SEO optimization, email marketing, etc., but the good old telephone can still give you a competitive edge if you add telemarketing services to your sales and marketing tactics. Even with all the strengths of digital marketing, it just cannot take the place of a two-way telephone conversation, where people are connected and find solutions together. Telemarketing can replace face-to-face sales of smaller ticket size done by the sales team, allowing them to focus on implementing field sales programs to expand the customer base and geographies to bring in new clients for the company. An instance where telemarketing helped turn around Chryslers fortunes was when the presidents of large companies in Chicago area received calls from the legend and CEO of Chrysler Lee, Iacocca himself, selling Chryslers to them. It could have been Lacocca himself on the phone, or a recording of his voice was being used, but the outcome was stunning. He achieved a 32% increase in fleet sales and literally caught both GM and Ford napping. For a spectacular success as a company, connect with a professional team of telemarketing specialists who have a solid track record and let them power you to achieve remarkable results. A good telemarketing program can create sales pipelines and get positive leads, which can be screened, qualified, and passed to the sales team in the company for prompt action. To have a telemarketing team as a support system allows the field sales team time for having in-person calls to qualified prospects, which helps in lowering sales costs. Using the services of telemarketers to qualify your prospects will ensure it is done in a free-flowing and relaxed manner. You need not waste your sales team’s time with unqualified leads that are not ready for sales and conversion yet. Telemarketing call centers have very well trained staff who are adept in lead generation and qualification. So, hire a well-qualified telemarketing team to generate quality leads for you over the phone. Telemarketing helps to provide information to customers, dealers, and suppliers. A classic example of this would be the MGM Resorts International in Las Vegas, one of the biggest hotels and casino operators in the world. It uses the services of Telemarketing Companies in Las Vegas to promote its services and get more potential customers. Hiring a telemarketing team makes sense because telemarketing specialists are masters at earning the customers’ trust and breaking down the barriers between the customers and your company. They do their research and are well prepared to engage in a conversation with the decision-makers in order to gain closure. The role of telemarketing is expanding at a very fast pace in the business world and using telemarketing together with a sales team can help your company save time and money by reducing unproductive sales meetings leading to more profits to the company. Multiply the response rate of your customers to your email and social media campaign by hiring a well-trained telemarketing call center which will add a human touch and help in establishing a fruitful relationship with your prospective customers.